Got a question from somebody. 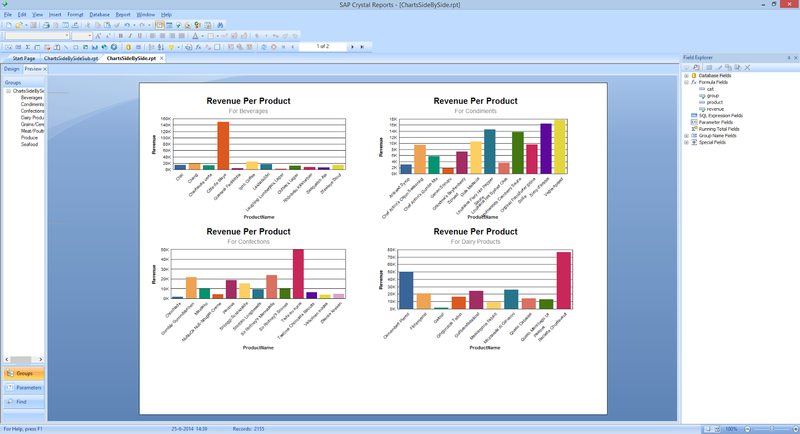 Charts showing products and revenues in a report grouped by category, can the different charts be shown two by two instead of one below the other? 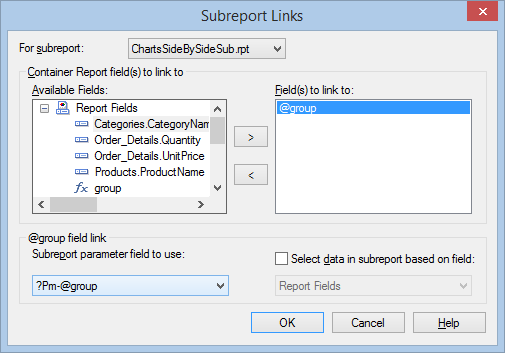 The example is based on the Northwind database, using the tables, Categories, Products, Orders and Oder_Details. To get the charts side by side instead of one below the other, I used one sub report. Main report and sub report are based on the same data and contain the same charts.